The top eleven Republican presidential contenders assembled at the Ronald Reagan Presidential Library in California for the second debate on Wednesday night. Karen Tumulty of The Washington Post explains how a combination of attacks from other challengers and specific policy discussion left frontrunner Donald Trump silent for part of the debate. Plus, The Atlantic’s Molly Ball and CNBC’s Eamon Javers detail Carly Fiorina’s thoughtful responses that contributed to her strong debate performance. And what do the Democratic candidates take away from this debate? CNN’s Manu Raju reports on Democratic concern over Sen. Marco Rubio’s polished debate demeanor. GWEN IFILL: Looking to break out, 15 candidates fighting for one gig: we look at the GOP debates tonight on Washington Week. DONALD TRUMP: (From video.) I didn’t want to – yeah, OK, more energy tonight. I like that. CARLY FIORINA: (From video.) It’s not that politicians are bad people, it’s that they’ve been in that system forever. FORMER ARKANSAS GOVERNOR MIKE HUCKABEE (R): (From video.) I think we are, in fact, the A-Team. MS. IFILL: It was hot, it was sweaty, and it was on. The Republican candidates for president competing for the Reagan legacy. OHIO GOVERNOR JOHN KASICH (R): (From video.) By the way, I think I actually flew on this plane with Ronald Reagan when I was a congressman, and his goals and mine really much – pretty much the same. MS. IFILL: They fought for the right to challenge a Democratic nominee. MR. BUSH: (From video.) This administration, with President Obama and Hillary Clinton, has created insecurity the likes of which we never would have imagined. NEW JERSEY GOVERNOR CHRIS CHRISTIE (R): (From video.) Let’s ask Hillary Clinton. She believes in the systematic murder of children in womb to preserve their body parts. MS. IFILL: The target in question fought right back. FORMER SECRETARY OF STATE HILLARY CLINTON: (From video.) This is just the usual back-and-forth political attacks, the kinds of things you say when you’re on a debate stage and you really don’t have much else to say. MS. IFILL: And they elbowed each other aside for the chance to knock Donald Trump out of first place. WISCONSIN GOVERNOR SCOTT WALKER (R): (From video.) Mr. Trump, we don’t need an apprentice in the White House. We don’t need an apprentice in the White House. We have one right now. MS. IFILL: Did anyone win? Covering this eventful week, Molly Ball, national political correspondent for The Atlantic magazine; Eamon Javers, national political correspondent for CNBC; Manu Raju, senior political correspondent for CNN; and Karen Tumulty, national political correspondent for The Washington Post. MS. IFILL: Good evening. I would be the last one to tell you that this week’s Republican debate has redefined the course of the 2016 election. In fact, if we have learned anything about this campaign so far, it is to expect the unexpected. But if you were watching this debate to learn something about who these candidates are – and 23 million people did – you learned a lot. Carly Fiorina came prepared to seize her first big moment on the debate stage. MS. FIORINA: (From video.) I’ll tell you why people are supporting outsiders. It’s because, you know what happens if someone’s been in a system their whole life? They don’t know how broken the system is. A fish swims in water; it doesn’t know it’s water. It’s not that politicians are bad people, it’s that they’ve been in that system forever. MS. IFILL: Donald Trump proved, once again, that he is incapable of apologizing to anyone. MR. BUSH: (From video.) To subject my wife into the middle of a raucous political conversation was completely inappropriate, and I hope you apologize for that, Donald. MR. TRUMP: (From video.) Well, I have to tell you, I hear phenomenal things. I hear your wife is a lovely woman. MR. BUSH: (From video.) She is. She’s fantastic. MR. TRUMP: (From video.) I don’t know her, and this is a total mischaracterization of what I said. MR. TRUMP: (From video.) Good. No, I won’t do that because I said nothing wrong. MS. IFILL: And Jeb Bush finally came prepared to answer questions about his brother. MR. BUSH: (From video.) You know what? As it relates to my brother, there’s one thing I know for sure: he kept us safe. I don’t know if you remember, Donald. (Cheers, applause.) Do you remember the rubble? Do you remember the firefighter with his arms around it? He sent a clear signal that the United States would be strong and fight Islamic terrorism, and he did keep us safe. MR. TRUMP: (From video.) I don’t know, you feel safe right now? I don’t feel so safe. MS. IFILL: Everyone arrived with a game plan. Let’s see who did what they came to do and what this means now, beginning with the frontrunner, Molly, Mr. Trump. Did he do – what did he come to do? MOLLY BALL: Well, he came to stay on top, certainly. And he came to put on another installment in this long-running Donald Trump show, that a lot of people thought would be cancelled a lot sooner but it still hasn’t been. You know, I was surprised that – I thought Donald Trump was off of his – off his game at the debate this week. I thought he was a little bit tentative. He got into some things that he couldn’t get out of. He sort of couldn’t bluster through some of these questions. Now, of course, he was the center of focus, the center of the stage, the center of a lot of the attacks. But, you know, Carly Fiorina took some shots at him that really landed, and he was thrown off-balance. And she really got under his skin in a way we haven’t see anyone be able to do. And I think that for someone whose persona is so much dependent on being sort of the alpha male, when he gets set off-balance like that, it really shakes the whole edifice of his persona. MS. IFILL: What do you think about that, Karen? KAREN TUMULTY: Well, I think the other thing that happened was that there was a lot of policy discussed, a lot of these candidates really digging down into some pretty nitty-gritty questions of policy. And when that is where the conversation was, suddenly Donald Trump was silent for very, very long stretches. MS. IFILL: Let me – let me show you an example. There was a moment where he was asked about a question – he was asked by the radio host who was actually one of the questioners at the debate, Hugh Hewitt, about people who are enemies to America, and he named names and asked Donald Trump if he knew the difference. And this was Trump’s reaction when he was asked about why he didn’t seem to. MR. TRUMP: (From video.) OK, so I will say this, though. Hugh was giving me name after name – Arab name, Arab name, Arab – and there are few people anywhere – anywhere – that would have known those names. I think he was reading them off a sheet. MS. IFILL: OK, this is what Marco Rubio had to say right after that. SENATOR MARCO RUBIO (R-FL): (From video.) Well, you should ask him questions in detail about the foreign policy issues our president will confront because you better be able to lead our country on the first day – not six months from now, not a year from now. On the first day in office, our president could very well confront a national security crisis. MS. IFILL: Well, Manu, what about that? Did he – that’s a perfect case where he didn’t quite have the comeback. MANU RAJU: Yeah, that’s right, and it really was a big moment there for Marco Rubio. Of course, he one’s of the youngest – he’s the youngest candidate in this race. He’s a first-term senator. And one of the big questions about him is whether or not he has the experience to run, whether or not he can be commander in chief on day one. And the way that he kind of put Donald Trump in his place helped resolve some of those questions, and it showed a real contrast. And it’s something that Trump is going to have to grapple with, whether or not he can actually pass the commander-in-chief test. MS. IFILL: I want you to – I want you to weigh in on this, but the other big moment, of course, involved Carly Fiorina. We all now know – know by now that he gave an interview to Rolling Stone in which he said that, you know, who would elect that face? And she was asked about this last night. MR. TRUMP: (From video.) I think she’s got a beautiful face, and I think she’s a beautiful woman. EAMON JAVERS: The thing about that moment is that Donald Trump had to know that question was coming. He had to know that she was going to hit him hard on it, which she did. And he had to have planned a response. And that was the response he planned, was to compliment her looks. MS. IFILL: Don’t you think that in Donald Trump’s world that women generally say: “Oh that’s great, Donald, thank you”? I mean, he doesn’t – I think he thinks calling a woman beautiful, even in a professional situation, is a compliment. MR. JAVERS: I think you could tell by the look on his face as he made that comment that he thought he was giving her one of the best compliments he could give her. And it was clearly just a tone-deaf moment, one of a number of tone-deaf moments. When you talk about that exchange with Marco Rubio, there was this fascinating moment where Donald Trump was actually at the point where he had to promise that he would learn the issues by the time he was elected. And I’ve never heard a presidential candidate really ever make that admission, or make that promise. And so Donald Trump continues to break all the rules. Whether that’s going to have an impact on his standing in the polls – because his appeal seems to be not based at all on his command of the issues, it’s based on a whole bunch of other things – we’re going to have to wait and see. MS. TUMULTY: You know, it’s interesting, though, that answer of hers. I know women in America heard this. The morning after the debate, Carly Fiorina was asked on MSNBC, on Morning Joe, you know, how – why she did so well. And she said: Because I stood there and I really listened and I paid attention. And I think that listening is a real underrated and underused skill on the part of politicians. MS. BALL: And I think that’s why her performance was so strong. She wasn’t just spouting talking points. These weren’t canned answers. If you heard that answer, that burn she delivered to Trump, this was something where Trump had just said to Jeb Bush, I don’t care if you try to take it back, I heard what you said. And Carly Fiorina took that and turned it around on him. She said: I don’t care if you try to take it back, I heard what you said and the women heard what you said. So that was her sort of deftness in being able to incorporate the things she was hearing. MR. RAJU: And the real question for Carly now is whether or not she can turn this into money – she’s, of course, not been able to raise nearly the amount of money that a lot of her rivals have been able to pull in – and whether or not she can start building that organization in some of those key states early. How much momentum will she get out of this? We’ll just have to wait and see. MS. IFILL: Here’s the other thing she did, which I don’t think people notice as much, which is she made a pretty bold foray for the conservative vote. In talking about the Planned Parenthood controversy, she laid it right out there and she had this to say. MS. IFILL: Now, here’s what interesting about that. Obviously it speaks right to the heart of people who think Planned Parenthood should be shut down, that people in Washington are wusses for not doing it, and she is speaking to not what’s conventionally considered to be her crowd, and she’s doing it very directly. MS. IFILL: It should be said, by the way, the tape she’s talking about was not actually a Planned Parenthood tape. It was some stock footage that was put on top of the footage. MR. JAVERS: Yeah, but you heard the quiver in her voice as she was delivering that, and the anger and the steeliness behind that comment. That’s going to resonate well with a lot of Republican primary voters. And that was one of a couple of emotional moments that she had, in addition to the Donald Trump response. And then she also had this moment where she brought up the death of a child due to drug addiction, and it was a very powerful moment. She kind of veered off of it a little bit after she put that out there and kind of missed really landing the full emotional impact. But she was very deft in bringing these emotional moments to the stage, where the other candidates didn’t seem to have that kind of range on display. MS. IFILL: Chris Christie tried to, talking about people who were trying to seize the moment and came with a plan. He tried to keep coming back to this question of it’s not about us, it’s about them. And part of it was pushing back at Carly Fiorina and Donald Trump. Let’s listen to that. MS. IFILL: Was this kind of a do-or-die might for Chris Christie, Molly? MS. IFILL: Remember me, the straight-talker over here? MS. BALL: But to not do it in the angry way, not be the ranty Chris Christie, because we all know the Chris Christie who chews people out on YouTube and, you know, that sort of had created a bad image for him since Bridgegate. So he wants to show the side of him that is compassionate, that is funny, that is lively and emotional. He sort of wears his heart on his sleeve, but that’s not always in anger. And so he had a few good moments, I thought, last night. MS. IFILL: Who else had a do-or-die night last night, Karen? MS. TUMULTY: Scott Walker, the governor of Wisconsin. And he had a few sort of good lines in there that he managed to get in, but for most of the evening he was pretty invisible. And he, I think, of all the candidates on stage, could least afford that because his decline from frontrunner in Iowa to practically an asterisk has been so precipitous. MR. RAJU: Yeah, that – I mean, and Iowa’s been his strategy. He needs to do well in Iowa. That’s been the goal of him all along, and he’s seen that decline. Talking to some of his donors and his supporters after the debate, a lot of people are very nervous and think that it’s time for a shakeup in his campaign in order to get things straight because last night did not calm any of those nerves. MS. IFILL: Well, and the interesting thing about it is he – his people let it be known in advance that he was going to come out – kind of like Jeb Bush’s people did – he was going to come out slugging. He was going to come out and take on Donald Trump. And he tried. MS. IFILL: He didn’t really land a punch. MR. JAVERS: There was the one line about the apprentice, you know, and that sort of was one that kind of seemed like it had been pre-rehearsed and, you know, you use that when you – when you get the opportunity. MR. JAVERS: You know – you know what was fascinating to me was the range of views on so many different subjects among these Republicans. I mean, you had a lot of different candidates from a lot of different parts of the Republican Party up there – from, you know, Rand Paul to Donald Trump, whichever part of the Republican Party he represents. And so on everything from Putin to marijuana to the Iran deal, you had a whole bunch of different options for Republican voters to choose from there. Should we be talking to Putin? Should we be refusing to talk to Putin? Should we be befriending Putin, or gritting our teeth and treating him like Mikhail Gorbachev? You know, there were a lot of options there for Republican voters to choose. And where that all sorts out is going to be hard to tell because there were so many you kind of get lost in the confusion. MS. IFILL: Well, and one of the options is the option the Democrats, to a certain degree, are struggling with, too, which is do you want another Bush or another Clinton? And that’s the one that Rand Paul actually seized. Let’s listen to what he said. SENATOR RAND PAUL (R-KY): (From video.) There will always be a Bush or Clinton for you if you want to go back to war in Iraq. But the thing is, the first war was a mistake, and I’m not sending our sons and our daughters back to Iraq. MS. IFILL: Well, you heard Donald Trump, I think, say that he wouldn’t have supported the war in Iraq. MS. IFILL: Ben Carson say it, and you also had Rand Paul say it. But you have other hawks in the party. MR. RAJU: Yeah, you do. And Rand Paul has sort of been struggling with being the libertarian that his dad was, and also being acceptable to the establishment wing of the party. And he’s trying to figure out his way to navigate those two wings. And I think last night you saw him try to go back to his more traditional roots and the libertarian wing of the party and try to appeal to those same Ron Paul supporters, because just like Scott Walker, Rand Paul has seen his decline – his standing erode pretty dramatically in the polls and needed something to shake things up. I’m just not sure if he did that. MS. TUMULTY: And especially when you have that moment – several moments where you saw Jeb Bush coming to terms with his own last name during the debate. As the clip you showed earlier about keeping the country safe, at one point he acknowledges that he smoked marijuana in high school and says, oh, and my mother’s really unhappy with me for saying it. MR. RAJU: He might not have been the guy tweeting. MS. IFILL: He did. You know who the biggest winner was on social media during the debate? Bernie Sanders, whose Facebook posting completely trashing the Republicans completely outstripped anything the Republicans posted, or their doppelgangers. MR. RAJU: The other one was the hashtag of the hot guy sitting behind the moderator. (Laughter.) The anonymous guy in the background got a lot of attention on Twitter. That guy’s a celebrity. MR. JAVERS: He may join the Republican field, yeah. MR. RAJU: I think he got an agent the next day. He’s off to the races. OK, so let’s talk about John Kasich, and other people who were hoping that this would be a big moment. John Kasich is the, if you don’t like Bush I’m the not exactly – I’m the middle-of-the-road guy. I’m the guy who will just say that maybe a government shutdown’s a bad idea. Let’s listen. GOV. KASICH: (From video.) All we’re going to do is shut the government down, and then we’re going to open up – open it up and the American people are going to shake their heads and say, what’s the story with these Republicans? I would not be for shutting for the government down because I don’t think it’s going to work out. MS. IFILL: So that’s what – but if you’re a Ted Cruz, however – who of course was standing on that stage – that’s exactly what we should be doing, pushing back, shutting the government down. MR. JAVERS: Yeah, I mean, I thought with Kaisch, it was interesting. Sort of a little bit of a man out of time. I mean, I remember covering him when he was on Capitol Hill in the ’90s. He was referring, you know, flying the Reagan plane in the ’80s, things he did in the ’90s. I’m not sure how many Republican primary voters even remember that he was a factor in the ’80s and ’90s. He might have been a little bit out of step in that way. MR. JAVERS: Maybe they do. MR. RAJU: Maybe they do, yeah. MS. IFILL: And in New Hampshire. MS. TUMULTY: – and in New Hampshire. But you know, people thought he had a good debate last time too. He barely budged in the national polls, so. MR. RAJU: And, you know, getting back to that moment, that was a very big moment for Ted Cruz because he – nothing more that he wants than a battle over Planned Parenthood. And, you know, he will say that if there’s a government shutdown it’ll be the Democrats’ fault, but he’ll also blame the Republicans in Washington for not fighting hard enough on Planned Parenthood, people like John Kasich for not fighting hard enough. It’s a clear way to distinguish himself from his rivals, but also showcase that he’s the one actually fighting for the conservative cause. MR. JAVERS: It’s a classic moment in politics when you see a sitting United States senator who is a member of the Republican Party blaming the Washington Republicans for all kinds of failures. And I’m thinking, aren’t you a Washington Republican? MS. IFILL: Oh, that. Well, that was Marco’s Rubio’s defense about not showing up to vote: Washington doesn’t get anything done anyway, so I’m a sitting United States senator, why vote? MS. TUMULTY: And speaking of outsiders, the person whose numbers I’m going to be really interested in watch over the next few weeks is Ben Carson, who really had a very good first debate. He comes off as a different kind of presence – sort of a gentle presence on that stage. MS. IFILL: But he leaned away from the opportunity of questioning Donald Trump on his anti-vaccination stand. As a physician, you would have expected him to be able to say directly: I don’t know that that’s a good idea. But he kind of danced all the way around it. MS. TUMULTY: He started out going after it, but then by the end he was saying, oh, yeah, you’re right – because Donald Trump said with my kids I space out the vaccines and I don’t follow the regular schedule. MS. TUMULTY: Right. But I think, you know, if in fact Carly Fiorina does rise in the polls, I think, as a lot of people expect her to, I’ll be interested in seeing whose numbers she’s taking. And there’s a good chance it’s going to be Ben Carson. MS. IFILL: Really? Because even though – in part because of that passionate answer on Planned Parenthood and issues things like that? MS. TUMULTY: And it’s also the outsider space. MS. IFILL: She also mentioned that she’s a cancer survivor and she mentioned that she lost a child to drug abuse. She also managed to humanize herself at the same time when she was talking them on, things I didn’t know about her, which is interesting. So if you’re a Democrat and you’re watching this debate last night, if you’re Hillary Clinton or Bernie Sanders or Martin O’Malley – who’s desperate for more debates – what do you take away from this? Who do you see as your biggest threat? MR. JAVERS: I think if you’re Joe Biden and you’re watching this you think, I can get in there and I can beat those guys. MS. IFILL: I can take these guys? MR. JAVERS: Yeah. I think – I think, you know, if you’re Joe Biden and you look at that. He’s got a lot of experience in debates, you know, over the years. MS. IFILL: But isn’t that the same thing as Republicans saying I will beat Hillary before they can get actually past their own field? MR. JAVERS: Right, right, right. And she put it on the DNC and said the Democratic National Committee is making that decision. MS. IFILL: I’m sure they didn’t talk about that at all. MR. JAVERS: Right, she has no influence, I’m sure. MR. RAJU: But I was here – you know, getting back to your question – when I was here talking with Democrats the next morning after the debate, the feeling was that Rubio could potentially present the greatest threat because he’s very polished on the debate stage. He, if he were to face Hillary Clinton, accentuates all of the differences, all her vulnerabilities. And his performances in the last two debates give some of them – make them somewhat worried. MS. IFILL: He managed to elude the immigration issue by dividing it into people who come here legally, people who come here illegally, and people who need to be – whether people will be returned. He kind of made it into – he kind of made it into bite-sized chunks. What do you think about what the Democrats are looking at and worrying about? MS. TUMULTY: Well, don’t forget the context, too, of this is signs that Hillary Clinton is still – she’s still got a big lead in this primary, but she is slipping dramatically and, in our poll this week, slipping dramatically among women. MS. IFILL: That really struck me. That was interesting. MS. TUMULTY: So – Democratic women. 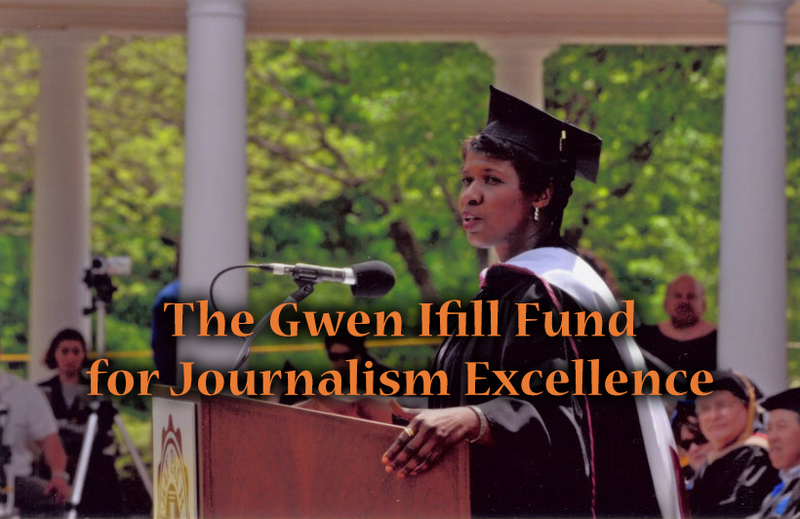 MS. IFILL: Who are going where? MS. TUMULTY: Actually, both Bernie Sanders and Joe Biden, who’s not even in the race, have moved – and we’re talking over an eight-week period – each of them have moved into the low 20s against her. MS. IFILL: Which argues Eamon’s point, I think, about Joe Biden. MR. JAVERS: At some point – if you’re not even running and you’re polling in the 20s, at some point it becomes a campaign. MS. BALL: Well, all this chaos on the Republican side is a life raft for the Democrats, who are pretty worried. And they’re not sure quite how worried they should be, but they look at what’s happening to Hillary. She has not been this unfavorably rated since – she was not this disliked through the entirety of the 2008 campaign. Her ratings now are worse than they’ve been since she’s had her own sort of standalone political career. She’s really in bad shape. She hasn’t been able to turn things around. She’s still having trouble answering questions, when she’s answering questions. MS. BALL: The number one argument you hear from them is, well, it’s not that bad. (Laughter.) Maybe they’ll beat themselves. Thank you, everybody. We have to go for now. But, as always, the conversation will continue online on the Washington Week Webcast Extra where, among other things, we’ll talk a little more about the undercard debate and about one Democrat’s push to add more debates to their schedule. You can find it all week long at PBS.org/WashingtonWeek. And while you’re online, check out our new voter initiative, 16 for 2016, where we invite you to comment on the 2016 presidential race. Send us your photos or upload a video to join the conversation about the election. And Monday night, join me in South Carolina where I’ll host a PBS town hall meeting, America After Charleston, where we’ll tackle the lingering national wounds about race, policing, and how we see each other. That’s at 9:00 p.m. Eastern time on your PBS station. Keep up with developments with Judy Woodruff and me on the PBS NewsHour, and we’ll see you here next week on Washington Week. Good night.